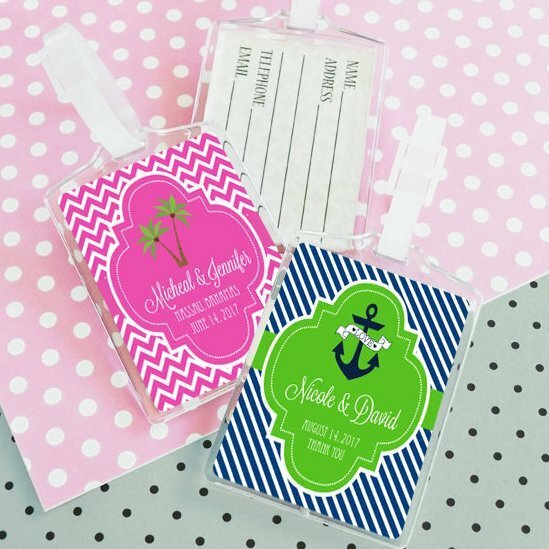 Get your guests to their destinations in style with our personalized luggage tag favors. 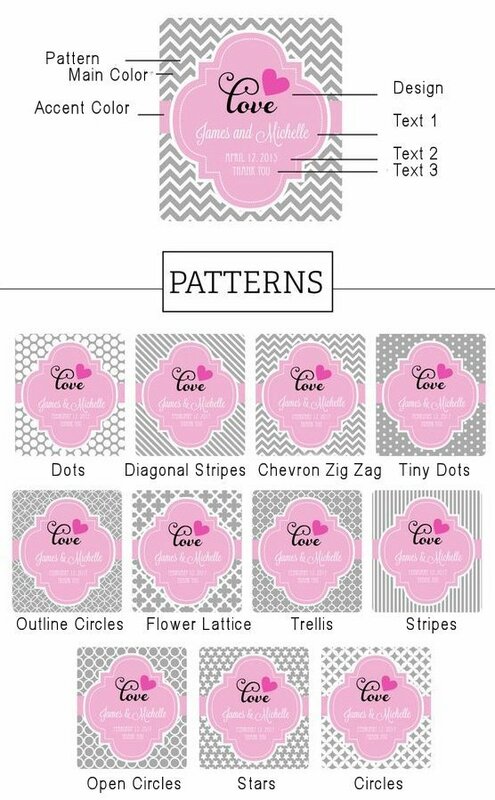 Keep their luggage safe and sound with a tag that is uniquely personalized with a theme design of your choice along with 3 lines of your own text. 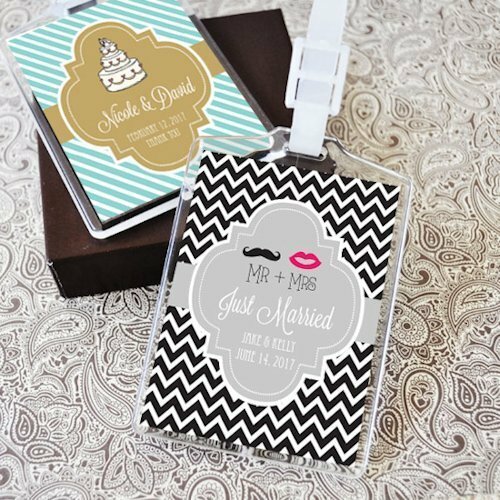 Perfect for a destination wedding to a sunny beach or snowy hillside, your guests will love using this special memento each time they board a plane. 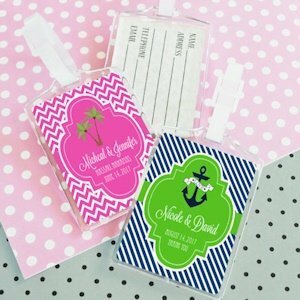 Acrylic luggage tag measures 3.75" x 2.75". 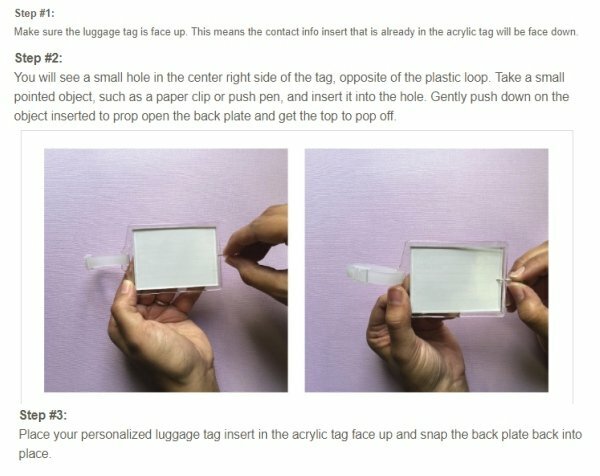 Some assembly required to remove perforated custom inserts from sheets and place them into the luggage tags. 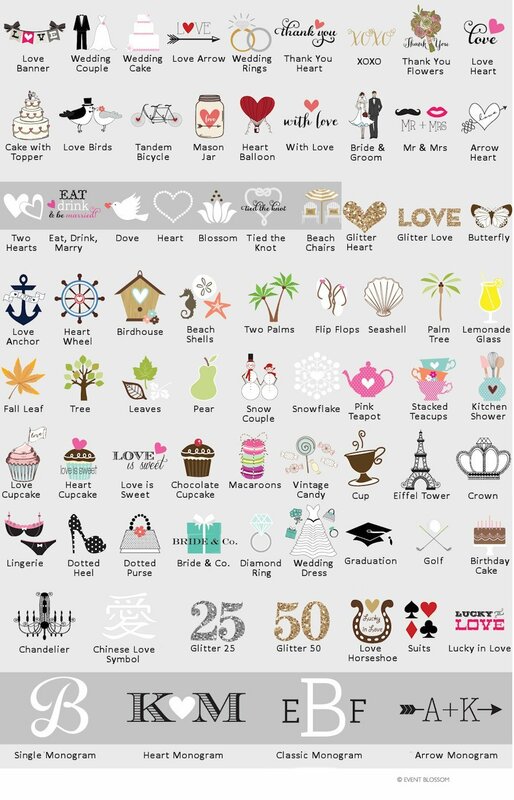 EB-17317 - do you have any baby or luggage/plane pictures to choose from rather than bridal/wedding?